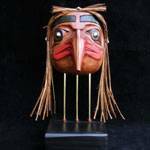 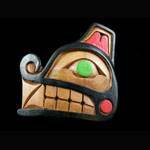 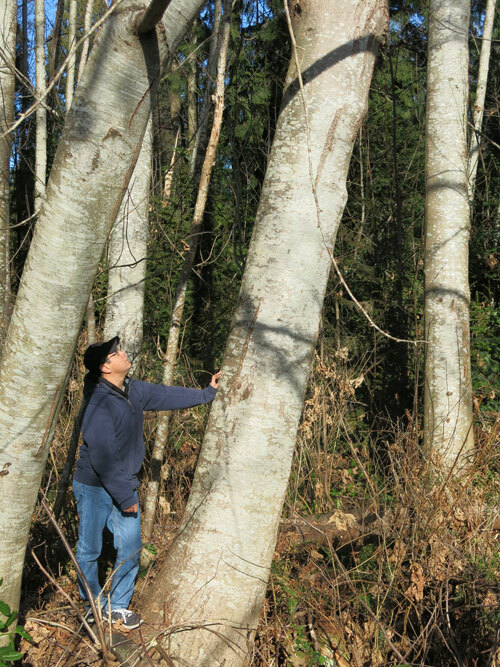 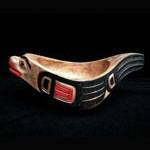 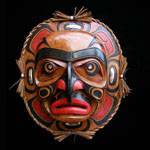 Our wood carvings are all created by Coast Salish woodcarver Artie George, great nephew of Chief Dan George. 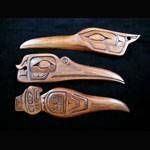 These include miniature carvings which are available in a variety of presentations, larger masks and plaques for hanging on the wall, and bowls, rattles, spoons and totem poles for display on tables and shelves. 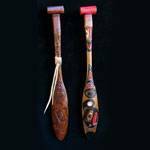 The majority of wood which Artie carves is recycled, salvaged from construction sites as they are prepared for development.